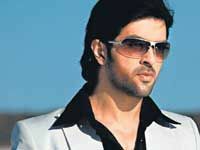 Movie Synopsis: Yogesh Patel (Harman Baweja) a man wished for a love marriage. Some problem with the family has now forced him to choose his bride in 10 ten so he decided to meet one girl from each raashee, which would be meeting 12 girls in six days, two a day and then 3 days to decide and the final tenth day to marry. Priyanka Chopra plays twelve different characters depicting the twelve zodiac signs.